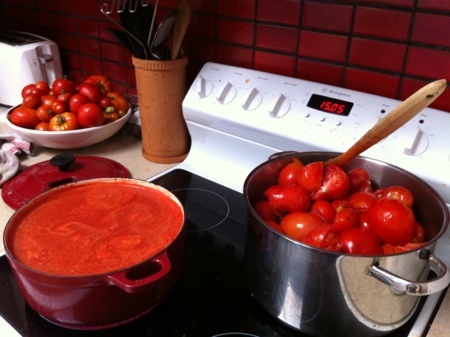 yes I hear you – I have made a few batches of tomato sauces for spag bol one day. REcon I will have another batch to make tomorrow with all the green/yellow heirloom tomatoes. Wonder if the boys will work out that sauces favour!